This week has been officially COLD. The heating has been on, the winter woollies are out, and the girls are snuggling under warm blankets on the sofa. I will also say that the British Gas Remote Control heating system is being used in earnest now, and it’s so fabulous to come home to a warm house when we’ve been out. As you probably know British Gas have challenged us to use their Remote Control Heating system during November and so far we’ve been putting it through it’s paces following our Helicopter ride and my Shopping Trip. 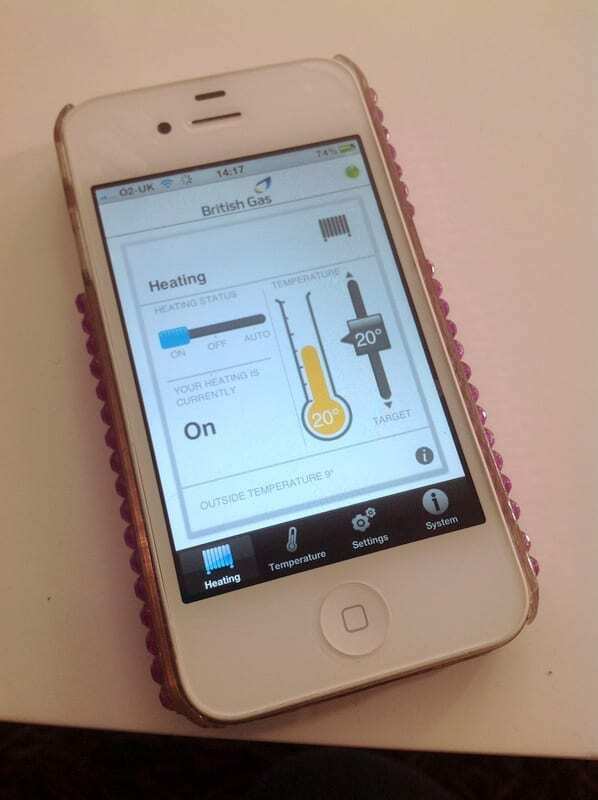 The British Gas RHC system allows us to control our heating from our phones. We’ve downloaded the app before and use it frequently to switch the heating on when we are out. I’m usually just giving it 15 minutes or so to warm up before we’re home and the house is just right when we walk in. I can really see the system, which costs £149 paying for itself during the very cold winter months when we might normally leave the heating on when we’re out. Ok, so we may still do this, especially when it’s very cold, but at least we can put it on a low temperature and then adjust that from the phone when we’re ready to come home. This week Mr Demolition and I had a night out with the Vampires, and went to see the new Twilight film, Breaking Dawn Part 2. We even managed to get there on the day of its release! We love a night out at the cinema, always have always will. (Even as I’m typing the girls are out seeing a film with their Dad). And we love our local independent cinema. It’s the only one that’s managed to survive in our big city full or multiplex cinemas with their fancy sound systems and comfy chairs. Who needs all that though when you can support your local independent and even take a glass of wine into the film with you. I love that they even have original 2 person love seats! What a great night out. A film I’d been so excited to see having read the books a few years ago, and a few drinks and a long overdue catchup with the other half too. A great end to a busy week. The babysitter was from our babysitting circle: a group of families that sit for each other in return for ‘tokens’ or ‘gems’. This is then used as currency to ‘purchase’ babysitting hours from someone else. A fantastic system that works brilliantly well for us. I was also able to check the heating from the phone on our way home. I knew the system would be switching off and I wanted to make sure it was warm enough for the sitter. And warm enough for us too. How brilliant that I could keep tabs on it. We always like to ensure the sitters are comfortable and well looked after – we want them to come back after all! Now, I know this is the 3rd time I’ve been talking about this British Gas system and this time I thought I’d show you this British Gas short film that illustrates how the phone app works. And it really does work! British Gas have given us the Remote Control Heating device free of charge, and sent us out on treats as a challenge to use it. The comments are genuine, honest and my own.